You were washed . 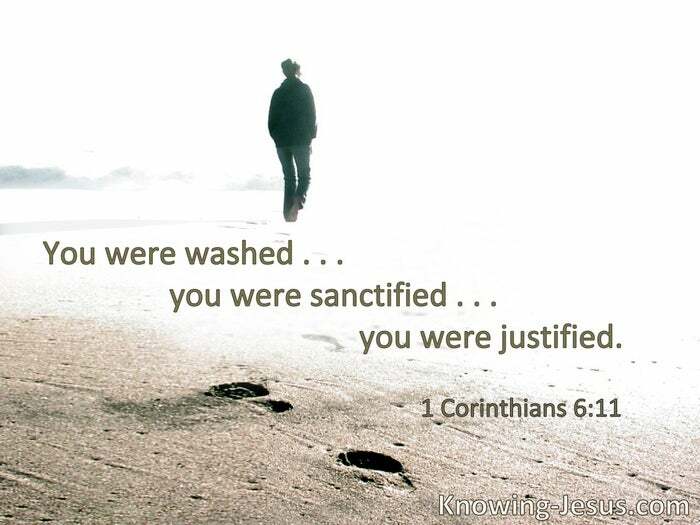 . . you were sanctified . . . you were justified. The blood of Jesus Christ His Son cleanses us from all sin. § The chastisement for our peace was upon Him, and by His stripes we are healed. Christ … loved the church and gave Himself for her, that He might sanctify and cleanse her with the washing of water by the word, that He might present her to Himself a glorious church, not having spot or wrinkle or any such thing, but that she should be holy and without blemish. § To her it was granted to be arrayed in fine linen, clean and bright, for the fine linen is the righteous acts of the saints. § Let us draw near with a true heart in full assurance of faith, having our hearts sprinkled from an evil conscience and our bodies washed with pure water. Who shall bring a charge against God’s elect? It is God who justifies. 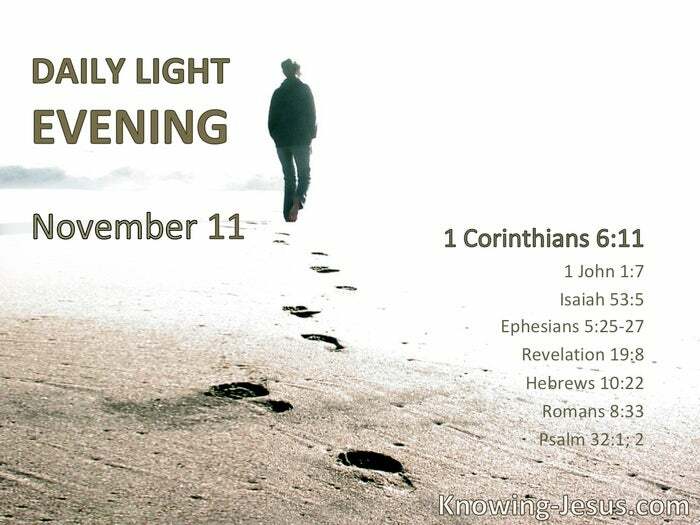 § Blessed is he whose transgression is forgiven, whose sin is covered. Blessed is the man to whom the Lord does not impute iniquity, and in whose spirit there is no deceit.